 It was bound to happen in an organization such as the Open Knowledge Foundation. People who have never met face to face have been working to adapt the successful project spendingstories.org to Spanish. The API collects and compares episodes of public expenditure which are often surprising for the general public. Members of okfn.es, openkratio.org, and opengov.cat presented historiasdegasto.org on the occasion of International Open Data Day at the okioconf.es in Seville and in Barcelona. historiasdegasto.org is the Spanish version of spendingstories.org, created by openspending.org, a free and open database that maps public financial transactions worldwide. To use it, you simply type an amount and click on compare. historiasdegasto.org stores references to news published on several digital media about public expenditure and automatically compares the cost of infrastructures, contracts, allocated budgets, salaries, and other. Open to citizens’ contributions, the page will undoubtedly become a useful tool for the media and citizens in search of a better democracy. openkratio (previously known as OpenData Sevilla) has been campaigning for open government and open data in society and specially in the Public Administration since 2011.
opengov.cat has advocated for transparency of the Catalan government since 2013 and has published visualizations of its intricate organization charts as well as stories about documents that are not easily accessible or publicized. openspending.org encourages everybody to open the budget of their town as openkratio did with Sevilla Presus. Their handbook to know how to do that is now available in Spanish. Who else would like to make public expenditure open? It is our own expenditure, too.